Fall is just around the corner. While you are out and about shopping for some new fall duds, don't forget to update your beauty collection as well, starting with nail polish. Essie, one of my favorite nail polish brands has introduced its fall collection, and it's nothing short of spectacular...of course. Take a look at these gorgeous colors. This juicy, ripe red is perfect for winter's hot plaid prints. This fresh, taupe color is perfect for occasions when you want a light shade with a hint of color. This jade green is a softer shade of green that compliments fall's popular neutrals such as brown and beige. I love shades of gray for nail polish, and this one has the slightest hint of teal to give it a unique and intriguing appearance. This inviting shade of blue is just right for a fall nail polish. It's warm with a hint of sexiness. Like milk chocolate in a bottle, this creamy shade of brown with a hint of mahogany is mysterious and magical. 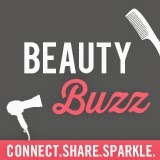 I'm linking up with #BeautyBuzz which is hosted by Momtrends, Mama In Heels, Musings of a Housewife, and Sassy Moms in the City.